Authorities Monday released the name of a man who was fatally shot by police last month when he faced off against them at a North County strip mall while armed with a knife and a pellet gun. 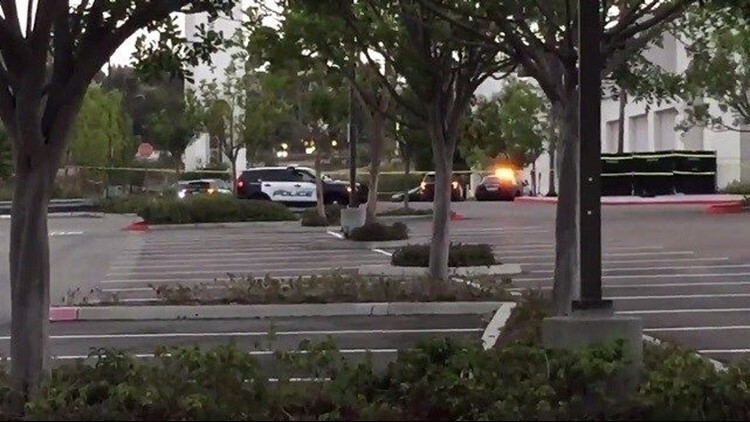 OCEANSIDE (CNS) - Authorities Monday released the name of a man who was fatally shot by police last month when he faced off against them at a North County strip mall while armed with a knife and a pellet gun. Alexander Ochoa, 26, died at the scene of the Sept. 22 shooting in the 3400 block of Marron Road in Oceanside, according to police. Shortly after midnight that day, officers were sent to the shopping center near state Route 78 and College Boulevard on a report of a man armed with a knife. Investigators later determined that Ochoa himself had made the 911 call, police spokesman Tom Bussey said. When officers found the suspect in a parking lot behind a Kohl's store, he displayed the bladed weapon and refused repeated orders to drop it, Bussey said. The patrol personnel responded by shooting him with a beanbag-firing gun, to no effect. They then let loose service dogs, which knocked him to the ground and caused him to drop the knife. At that point, Ochoa pulled a black air pistol from his waistband, prompting Officers Johann Ravesi, Dustin Schmidt and Billy Walker to open fire on him, Bussey said. It was unknown what motivated Ochoa, an Oceanside resident, to confront the lawmen in a threatening manner. Ravesi, Schmidt and Walker, who have been with the Oceanside Police Department for 14, four and two years, respectively, were placed on desk duty following the deadly encounter, which is routine in cases involving officer-involved shootings. They have since returned to active patrol status, Bussey said.